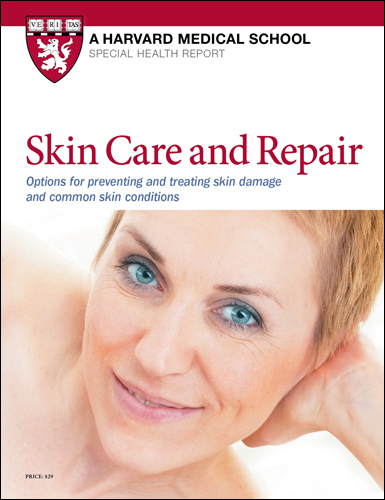 New information on treatments for both medical skin conditions and cosmetic problems is available in the Special Health Report Skin Care and Repair. This report describes scientifically approved treatments for common medical conditions from acne to rosacea, as well as the newest cosmetic procedures for lines, wrinkles, age spots, and other problems. An explanation of the ingredients in popular skin lotions and cosmeceuticals is also included. Where can you get authorotative advice on skin care? There's plenty of advice out there on TV, the internet and in the aisles of stores peddling skin care products. Despite the abundance of products and procedures available, there are actually only a few that have good scientific evidence behind them. This report, Skin Care and Repair describes the most effective skin treatments and procedures for both common medical conditions slike acne and rosacea, and common cosmetic problems like wrinkles and age spots. The most current medical and cosmetic treatments and procedures procedures are described as are the most effective topical lotions, fillers and other applications. All your life, your skin has been making a first impression for you. It can reveal whether you’re hot or cold, tired or rested, sick or healthy. As you age, your skin changes in response to the elements that assail it, particularly the sun. On the inside, you may feel as good as ever, but the toll of years on your skin may send a different message. Some medical conditions, particularly skin cancer, become more likely, while everyday stresses and exposures alter the tone and contour of your skin. To some extent, your genes determine how well your skin stands the test of time. But environmental factors play a big role as well. Each year, physicians diagnose more than one million cases of two highly curable forms of skin cancer—basal cell carcinoma and squamous cell carcinoma. But for nearly 70,000 people, the diagnosis will be melanoma, a potentially deadly form of skin cancer. That’s why it’s so important to take steps to prevent skin cancer by avoiding ultraviolet radiation from the sun and also from tanning beds. The World Health Organization now places people who use ultraviolet tanning beds in its highest cancer risk category. If it’s vitamin D you’re after, tanning beds are not a good choice but spending a very short time in the sun is safe for most people. There’s lots of good news in skin treatments, including therapies for medical conditions as well as cosmetic concerns. But it’s important to choose your treatments with care. Check and double-check the reputation and accreditation of clinicians performing invasive skin procedures. Choose skin care products wisely. The market for anti-aging creams and cosmetic surgery is skyrocketing. 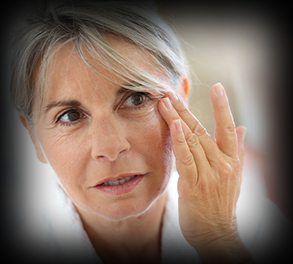 Americans spend an estimated $1.6 billion each year on anti-aging skin care products. Cosmetic procedures such as botulinum toxin injections and laser therapy to improve the skin’s appearance increased to more than 10 million in 2008 in the United States, with nonsurgical procedures making up 83% of the total. This report is intended to help you sort through your options by providing information based on scientific research and our own experience . You’ll find authoritative, up-to-date information about the ingredients in skin lotions that help reduce wrinkles and other signs of aging. A detailed section on techniques ranging from fractional laser resurfacing to cosmetic fillers can help you decide whether such procedures might be right for you. These are highly personal decisions. Whatever choices you make, you have more options today than ever before.